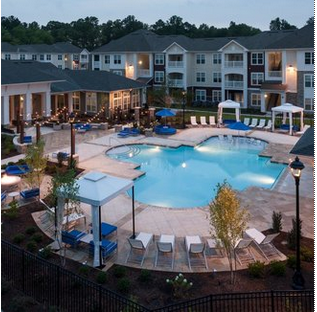 In 2015 Blue Heron secured an opportunity to invest in a co-GP position in the development of a well-located, 228-unit apartment community within a mixed-use planned development in Frederick, MD. The co-developer is a group with whom Blue Heron has invested in the past. In 2012, Blue Heron acquired a 92-acre parcel in Apex, NC. The site was targeted due to its location in an area with significant growth potential,strategically located along US-64 near the I-540 (Raleigh ‘Outer Beltline’) interchange which opened in 2013, and in an area that was likely to see a surge in development due to the advent of sewer as a result of a $330 million municipal initiative. In 2011, Blue Heron acquired a 25.6 acre greenfield site along US-401 in Fuquay Varina, NC. The site was an optimal location to grow the limited stock of multifamily housing in the town and create a small mixed-use community. In 2013, Blue Heron entered into a partnership with a top 20 multi-family developer in a co-GP position to develop a new community comprised of 322 Class A garden-style apartments with excellent amenities, access to shopping and proximity to universities and employment drivers. 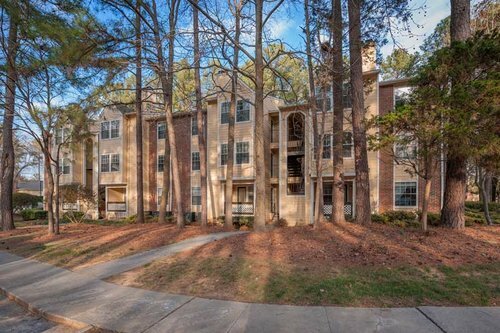 In 2002, the University of North Carolina at Chapel Hill issued a Request for Proposal to construct 300 married/family student apartments on campus. In response to this request, The Ron Strom Company, with Ron Strom as principal, submitted an atypical proposal that provided for more units, structured parking, less impervious surface, and a walkable community. Mr. Strom approached the project with a unique vision, including adaptive reuse of the existing signature building on the property, the Baity House. Mr. Strom secured the contract for the project by assembling an all-local development team that had prior experience working with UNC. Beginning in the mid 1990′s, Ron Strom began acquiring and renovating older retail centers in North Carolina.